21 Nerdy Backpacks: The Awesome List (2019) | Nerd Much? It’s that time of year again. Summer camps are coming to an end, you’re getting school supply lists in the mail, and everyone from Starbucks to Samuel Adams are preparing to roll out their pumpkin flavored beverages. How will you carry all of your school supplies? You obviously need a backpack for school. But why go with the typical Jansport or Kipling backpack when you can get one that is a bit more…you? There are tons of great nerdy backpacks available for the upcoming back to school season (or for general everyday use if that’s what you’re looking for), and if you’re not afraid to show your individuality, we’ve collected some of the coolest geek backpacks in the list below. 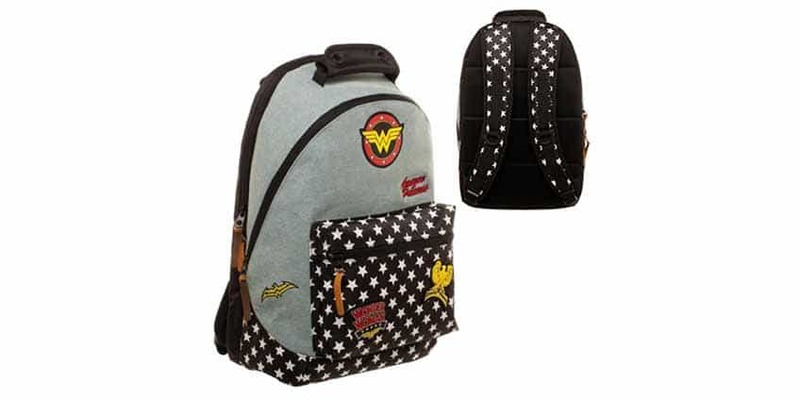 This Wonder Woman Denim Backpack by Bioworld features a brilliant design, complete with stars on the straps. It has the Wonder Woman logo at the top, as well as various Wonder Woman patches scattered about its face. It has a padded back for comfort, and it has a main compartment and front pocket. It’ll pair nicely with the Wonder Woman lunch boxes we have featured on our list of cool lunch boxes for nerds. Buy the Wonder Woman Backpack at Entertainment Earth | Buy it on Amazon. 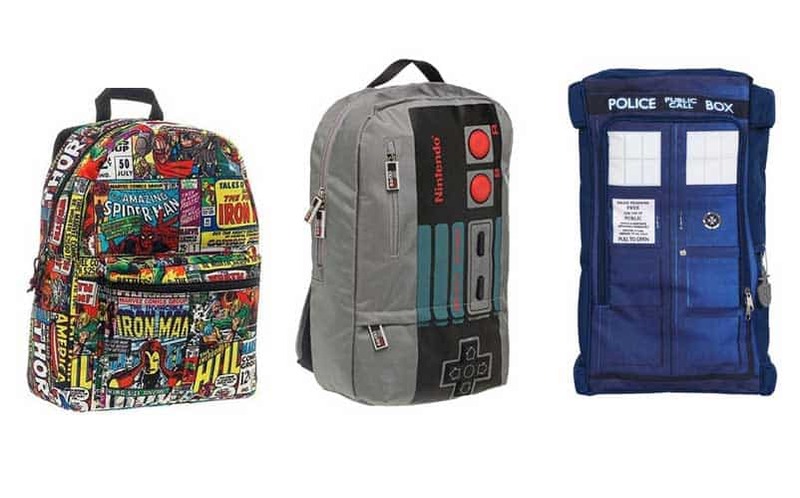 This is hands-down the best of the geek backpacks on this list. A Star Wars backpack made up of Star Wars tattoos? You won’t find a nerdy backpack as cool as this one. 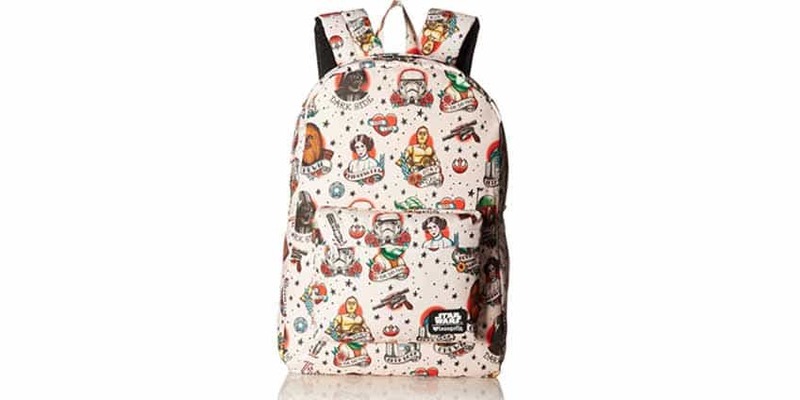 We also included it in our list of the best Star Wars backpacks available. Buy the Star Wars Tattoo Backpack here. A Doctor Who backpack in the style of a blue Tardis? Yeah, count us in. It’ll go great with the Doctor Who Tardis lunch box we included in our round-up of 20 cool lunch boxes for nerds. 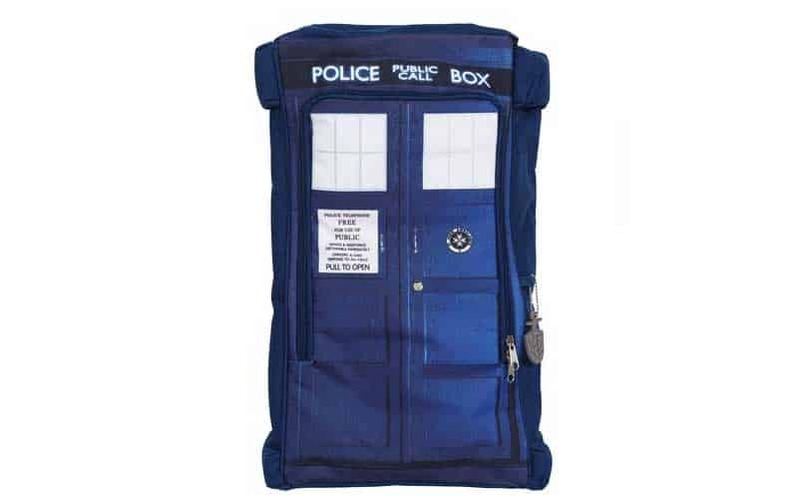 Buy the Doctor Who Backpack here. In our opinion, you won’t find any cooler geek backpacks than this Marvel Comic backpack. 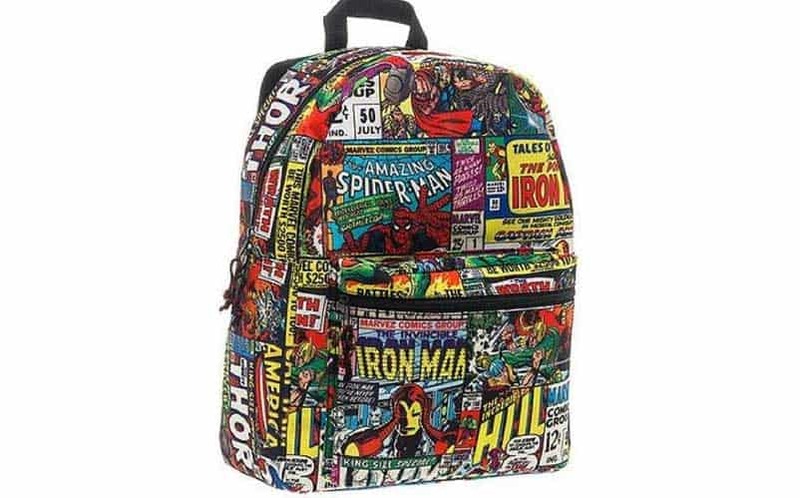 This Marvel backpack has a ton of different oldschool Marvel Comics plastered around it including Spider-Man, Iron Man, and Thor. 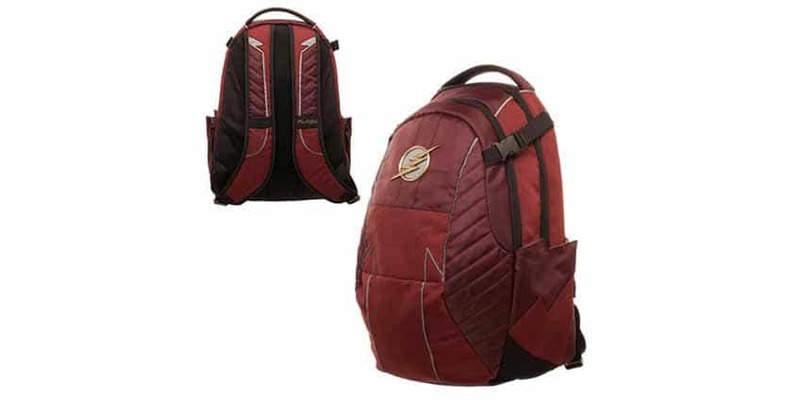 Buy the Marvel Backpack here. 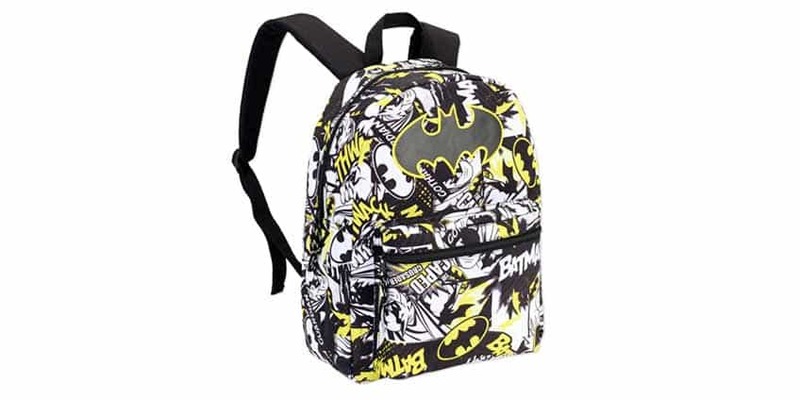 There are tons of cool Batman backpacks for school, but this one is the best. It has great Batman comic book art in black and white on its front, with a classic yellow and black Batman logo at the top. The design has yellow highlights in the artwork. 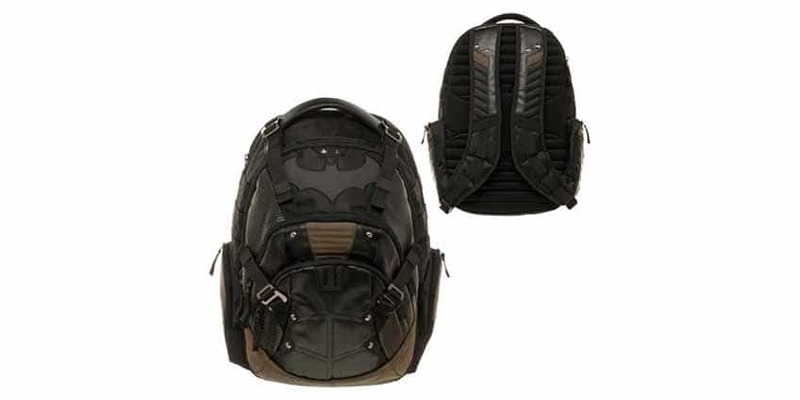 Buy the Batman Backpack here. If you’re more the Batman villain type, check out this Harley Quinn backpack. It’s one of the coolest girl backpacks we’ve seen, and it’ll surely let everyone know you’re a true nerd. With Suicide Squad likely fueling a rise of Harley Quinn’s popularity, beat everyone to the trend. 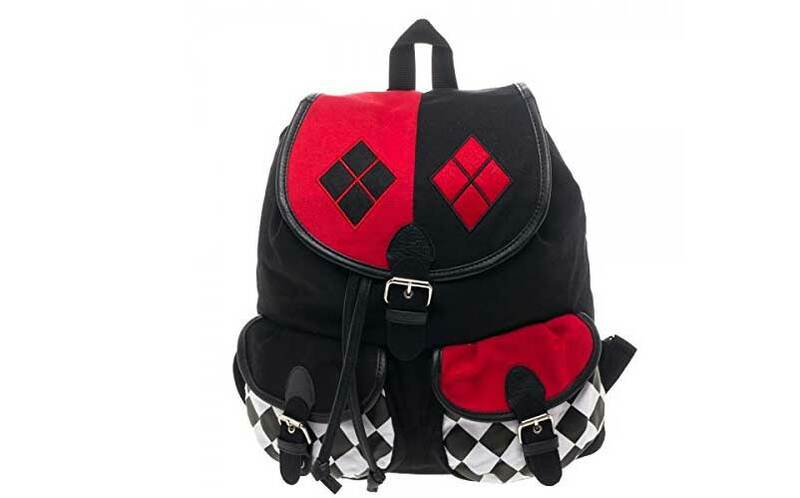 Buy the Harley Quinn Backpack here. If Minecraft is more your flavor, check out the Minecraft backpack from ThinkGeek in the style of a Creeper. It’ll of course hold your books, assignments, lunch and all that jazz, but you can also fit some laptops in there, too (you’ll have to measure to see if your laptop will fit). 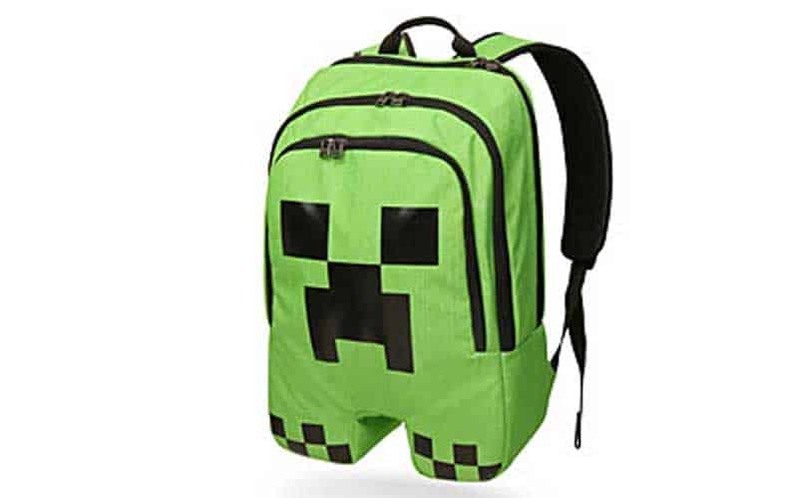 Buy the Minecraft Creeper Backpack here. If you’re looking for a different shield than the Captain America one above, check out the Nintendo Legend of Zelda Shield 3D Backpack. It’s one of the best Nintendo backpacks we’ve seen, sporting the iconic shield on its front. 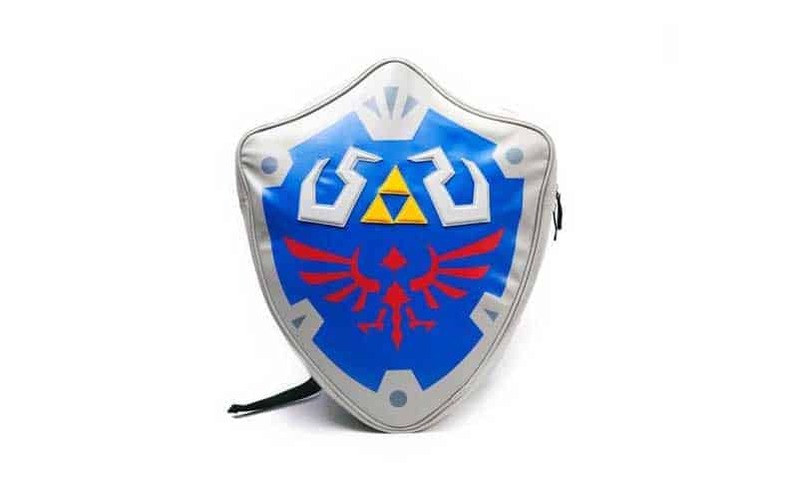 Buy the Legend of Zelda Shield 3D Backpack here. Retro gaming is all the rage, and this Retro Nintendo NES Controller Backpack will show your support for Nintendo’s original console. It’s 3″ taller than the Zelda backpack, too, so you’re able to transport your laptop with you wherever you go. 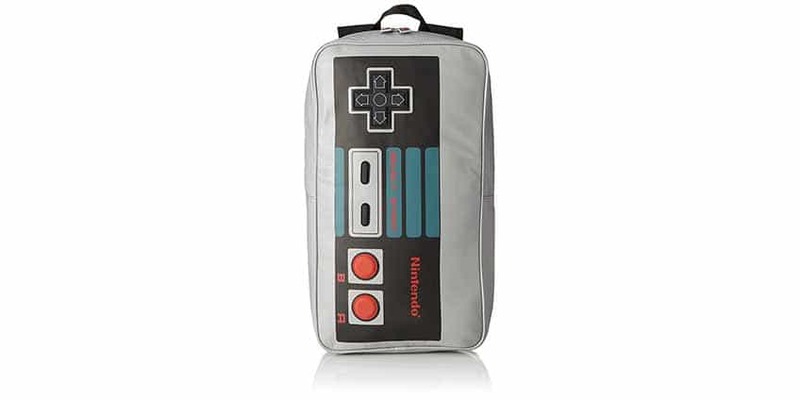 Buy the Nintendo NES Controller Backpack here. Of course, you could just go the generic nerd backpack route with the HotStyle Galaxy Patterned backpack. 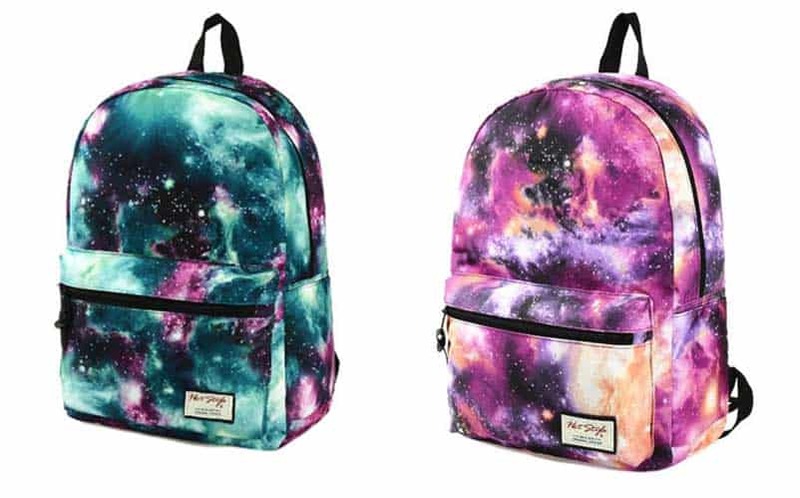 If you love space, this backpack shows the colorful galaxy in two different variations. Buy the Galaxy Patterned Backpack here. Bb Designs has a brand new Groot backpack for this year’s back to school season, which releases in May 2017. It’s 100% polyester, and it has a front zipper pouch. 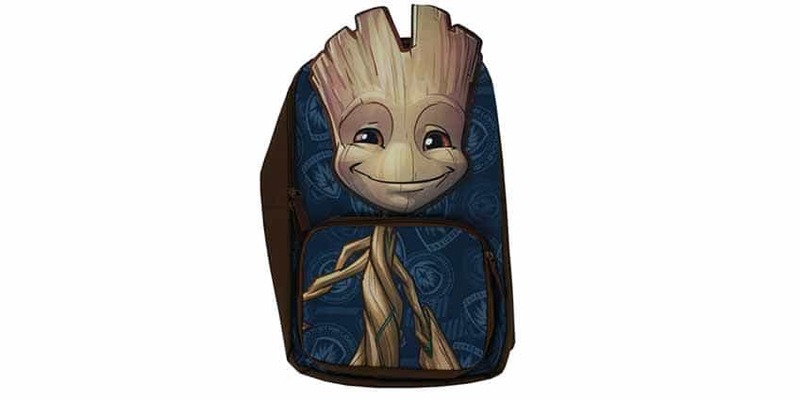 Buy the Groot Backpack at Entertainment Earth | Buy it on Amazon. This plush Rocket Raccoon Backpack from ThinkGeek fits both kids and adults, and obviously, it isn’t meant for bringing books to school. However, it’s a great nerdy backpack for staying over at a friend’s house, daily commutes, or for funsies. 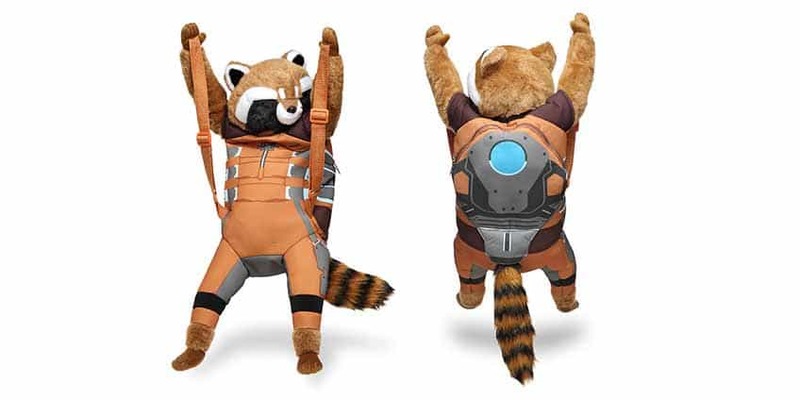 It’s a plush version of Rocket, with his hands up on the shoulders. It’ll fit a tablet and smaller electronics, but don’t expect to carry your laptop in here. Buy the Rocket Raccoon Backpack here. The Deadpool logo scattered about the entire backpack. What more do I need to say, other than it’ll be available at the end of July. 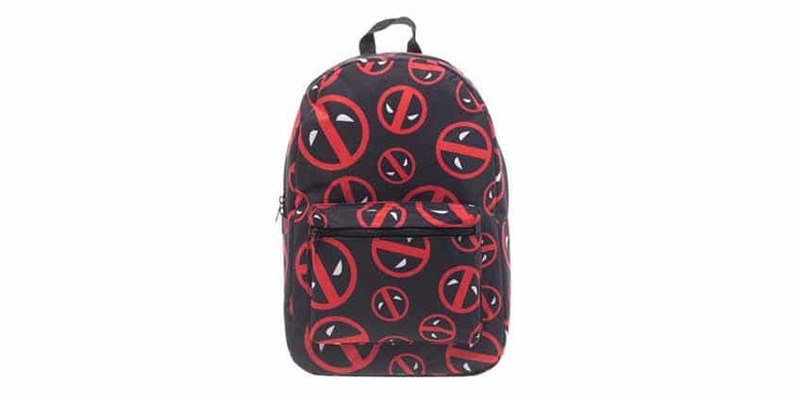 Buy the Deadpool Backpack here. This Flash Built Backpack by Bioworld features a spacious interior that’s big enough to carry 15-inch laptops. It also has reflective trim and a high-quality, casted metal logo that has a reflective inlay. Available for pre-order now, and it’ll ship in August. Buy the Flash Backpack here. This Super Mario Bros.-themed backpack will please any gamer, and it’ll hold up to 15-inch laptops. Available for pre-order now at Entertainment Earth, and it’ll ship in August. 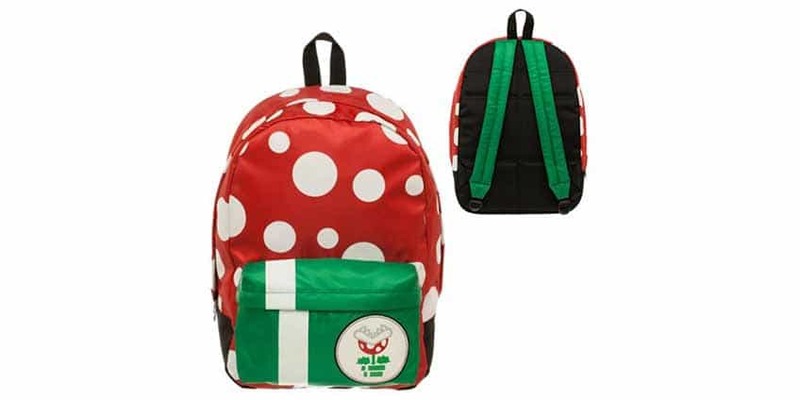 Buy the Super Mario Bros. Backpack here. Ultra stylish so that you might have a better high school experience than Peter. You can check out more of the best Spider-Man merch here. Buy the Spider-Man Logo Backpack here. 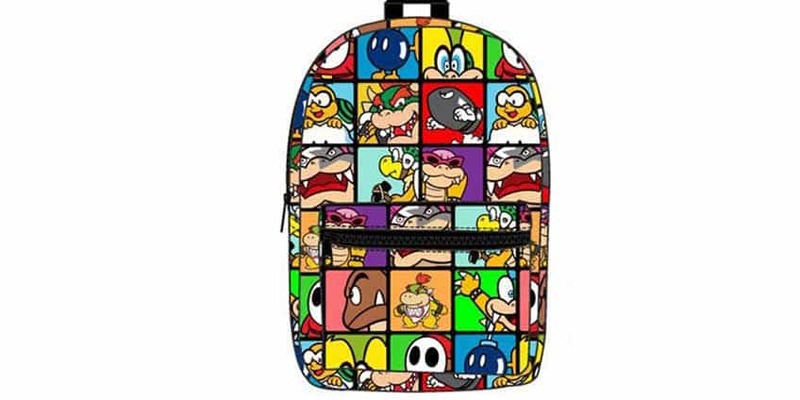 Here’s another incredible Super Mario Bros.-themed backpack. This time, it features the baddies, including Bowser, Shy Guy, Bowser Jr, Goombas, and more. 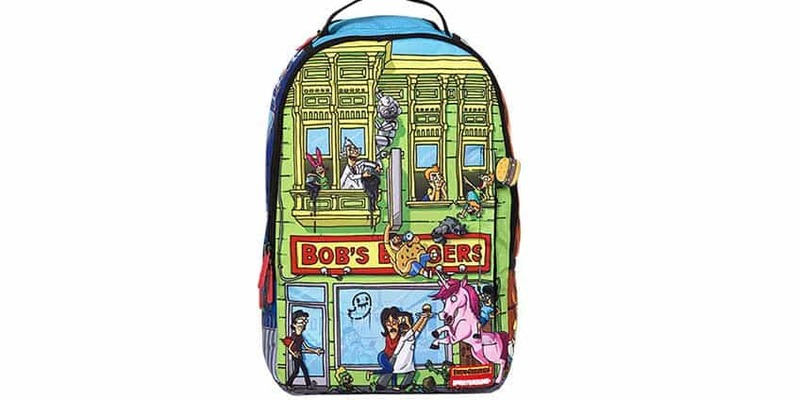 Buy the Bob’s Burgers Insanity Backpack here. The soon to be king of Westeros (yeah, I said it. Stay tuned) has a pretty great backpack. This ThinkGeek exclusive, inspired by Game of Thrones, features a look inspired by Jon Snow’s cloak. 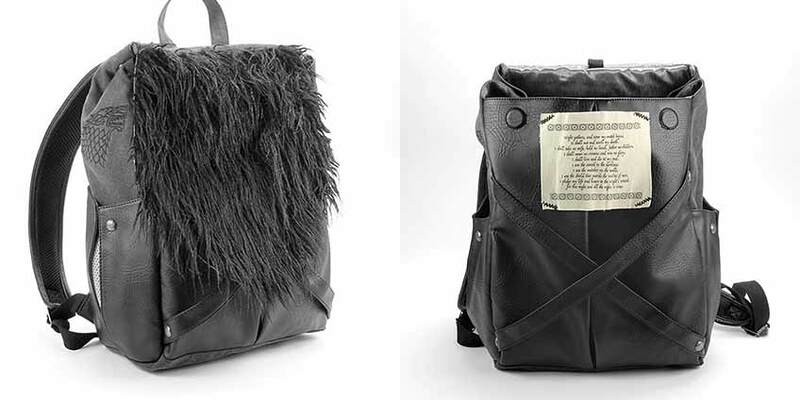 What’s more, it has the Night’s Watch Oath under the faux fur flap. Buy Jon Snow’s Backpack here. It’s like having Batman’s utility belt, but on your back! Louise’s hood is included, and that makes the price tag worth it. 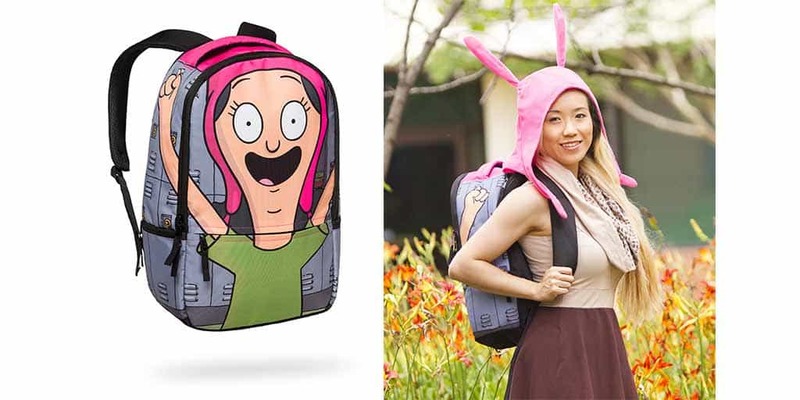 Buy the Louise Cosplay Hooded Backpack here.